From the car park follow the forest road with the Allt a Mulliach burn running alongside, passing a gateway and keeping left (straight ahead) at the junction. The track continues gradually climbing uphill through areas of felled trees, cleared following gales in 1989. These areas have been replanted with a mix of conifers and broadleaves and will create a more diverse and attractive woodland. As you reach the top of a short steep section take the track to your left and climb slightly heading back in the direction you have just come. On your right hidden in the undergrowth you will find the ruined Glenmullie farmstead, a sign of past times when this land was high pasture, before afforestation. 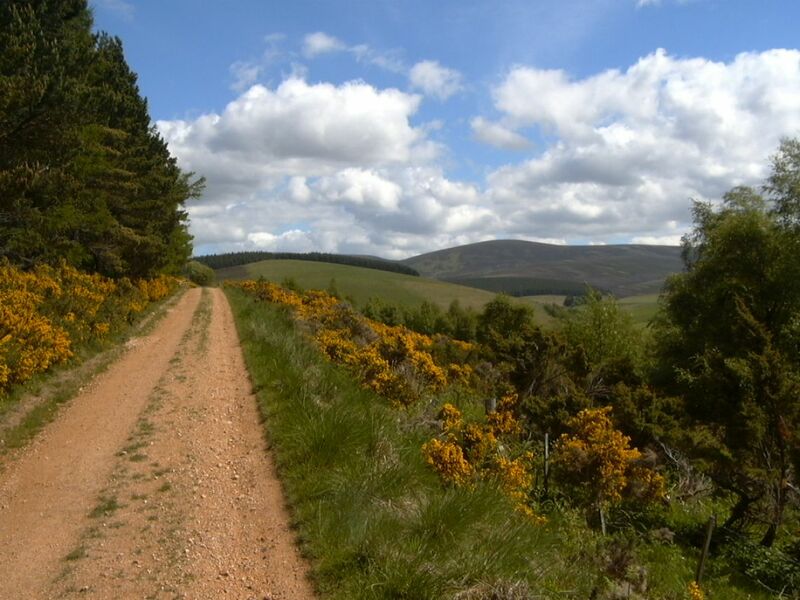 Continue along the track, admiring the high peaks of Ben Avon in the distance, reaching the wildlife hide, a perfect place to pause and enjoy the woods. Juniper grows below the hide, one of our few native conifer species, which produces dark purple berries used as flavouring in gin. Continue along the track before turning left and heading downhill through more diverse birch woodland. Cross the bridge over the burn and rejoin the main track, turning right to return to the car park.